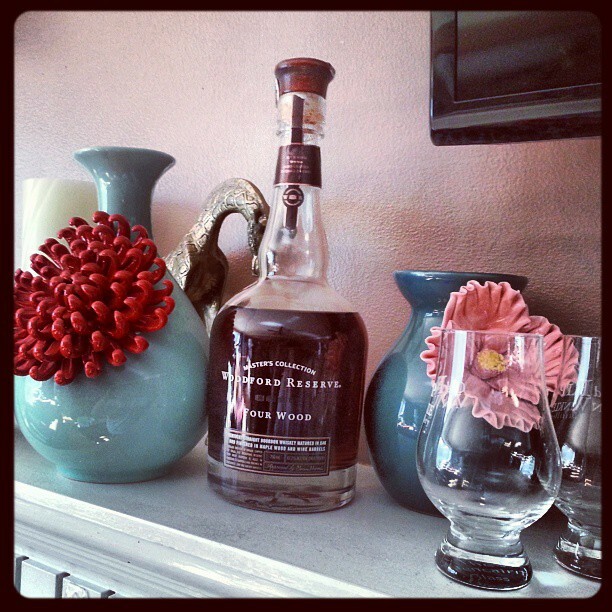 Sometimes the most fun a bourbon enthusiast can have is hunting down a hard to find libation. Now, obviously this can stop being fun and get to frustrating when it’s a Pappy Van Winkle. But when it’s something still obtainable, the thrill of the hunt is on! This summer, I have heard from several people how the Woodford Reserve Masters Collection ‘Four Wood’ release was both hard to find, and terribly mediocre. I scouted out a few stones, but couldn’t seem to find it here in Michigan, so I went to the next level. The state of Pennsylvania state controls all liquor sales, and state-runs the stores (rather than independent retailers). On top of that, they have a great, robust web site and mobile app so that you can easily purchase your booze online. I searched, and quickly found the elusive Four Wood, and the game was afoot. Only one problem – they don’t ship to Michigan. How to solve this? Well… my wife is a former Pennsylvanian, a native of the Philly suburbs. And her mother, my mother-in-law, still lives there. Even more serendipitous, she was coming to spend some time with us this very weekend. So, I purchased the bottle online and shipped it to her! It took a bit of convincing that she wasn’t breaking any laws in bringing it to me, but a two hour plane ride later, and here she (and said bottle) is! Now this is an oddball. Matured in oak and finished in maple wood and wine barrels, this selection takes the finishing process to a new level. Which is exactly what made it less popular with bloggers on the interwebs – it was described as a schizophrenic flavor profile, too wildly veering between tastes to be satisfying. Would I agree? My take: Yes, the naysayers are right…sort of. It had a very strong nose and a loooong, strong finish, but a few too many flavors keeps it from having a clear taste profile. Fun for a try, but not as nice as other Woodfords.